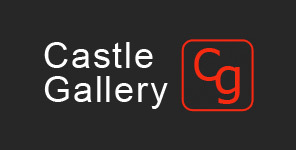 Castle Gallery was established in April 2002 by proprietor Andy Lyttle. The artists and artworks Castle Gallery deal in is hugely varied in style and price range. Our main aim is to display works covering every taste and budget from the unequivocal world market leaders such as Banksy and Andy Warhol to some of Ireland's leading artists such as JB Vallely and Neil Shawcross. We also encourage the developement of talented emerging artists including Rosemary Gifford and Paul McHenry. We have total dedication in both customer and artist satisfaction. Everyone in the triangle has to come away from the experience happy. Hopefully if there is an artist or artwork you would like to aquire Castle Gallery will be able to help. If we don't have a particular gallery artist or painting you can leave any relevant details and we will do our best to source it for you. We are proud to say we have built up a strong reputation for honesty and customer relations and are grateful for all return custom.